For the version submitted before the deadline, see "Last Submission Before The Deadline" under the download links below. A project made for the 2018 7DRL. It's the classic arcade version of Gauntlet... as a roguelike parody! This primarily means that gameplay is turn-based and the levels are procedural generated, but additional roguelike tropes may be added as development continues. 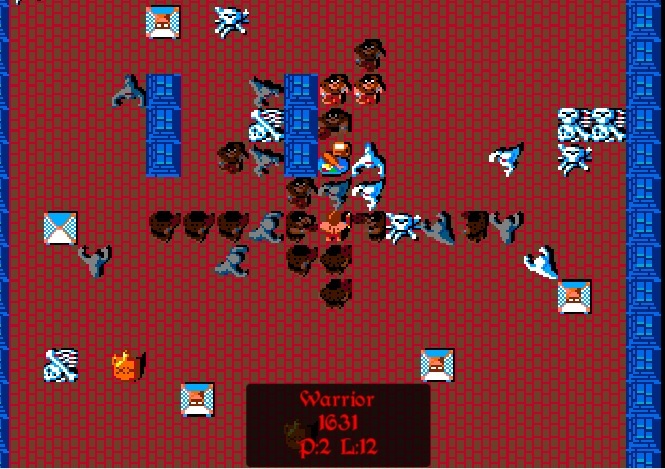 The reason why I chose this theme was because the mechanics of Gauntlet are relatively simple and well-understood, I had a very short amount of time before the deadline, and I did not want to get mired down in design. The primary goal was to complete something, this ever being a weakness in my own dabbling. Thanks to the deadline extension, I can say the result was a relative success, especially given I only had two solid days of work to put into it. The basic game loop is in, as is shooting, melee, and potions. However, there is clearly room for improvement, as the map generation was a bit of a last minute hack, and there is no scoring mechanic. As for the rest, I'll let you judge for yourself. Disclaimer: Since I'm cribbing heavily from possibly copyrighted assets here, I want to mention that this game is intended to be in compliance with fair use. 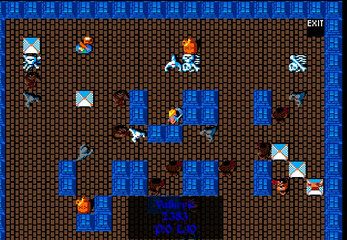 Think of this project as a strictly non-profit roguelike parody made for educational purposes. Needless to say, I do not own these assets, and cannot grant permission to reuse, sell, nor redistribute them. I've been continuing to improve it a bit. If you want the version that was uploaded before the 2018 7DRL deadline, get the Gauntlet Rogue Last Chance Build in the downloads above.